Rev. Alisha L. Gordon, M.Div. is the Executive For Spiritual Growth at United Methodist Women, one of the world’s largest Christian women’s organizations. Her work within United Methodist Women is deeply rooted in the spiritual development of the organization’s members. She marries social justice work and spiritual growth to the prophetic call of the church to help women see their full potential as mothers, daughters, sisters and members in an ever-changing social and political landscape. A native of Decatur, Georgia, Alisha attended Spelman College where she earned a Bachelor of English and Candler School of Theology at Emory University where she earned her Masters of Divinity with a concentration in Religious Education. Graduating with honors from Candler, she was the inaugural recipient of the Burt H. Masters Scholarship, winner of the Candler School of Theology Community Service Award, and a founding member of CORE, the Candler Centennial Coalition on Racial Equality. Alisha has traveled the world, including Brazil, Uganda, and Palestine, working with scholars, social activists, and humanitarian efforts to bridge the gap between those who are marginalized and those who are in power; she has spoken at prestigious colleges and universities nationwide including Wake Forest University, North Alabama University, Emory University, and has contributed her expertise as a former English teacher and religious educator to developing faith-based curriculum for churches in and around the Atlanta area. Recently, Alisha received a Presidential Commendation from Dr. Elmira Mangum, president of Florida A&M University in Tallahassee, Florida in 2016 for her riveting convocation speech during the University’s Dr. Martin Luther King, Jr. Convocation. She also served as the keynote speaker for Iowa State University’s Dr. Martin Luther King, Jr. Convocation Lecture series. 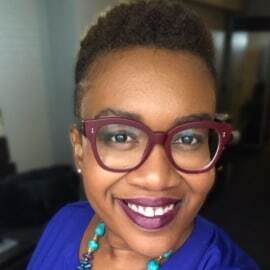 As a journalist and blogger, Alisha’s writing has appeared in a number of media outlets including The Huffington Post, UrbanFaith.com, Dallas-based pastor T.D. Jakes’ Woman Thou Art Loosed and MegaFest magazines. Alisha’s writing experience has made way for her to write faith-based curriculum for the United Methodist Church, WGN America’s hit-television show Underground and many others. Her unique blend of social commentary, religious engagement, and popular culture would lead her to a life committed to using her faith and her social interests to engage in deeply meaningful conversations about Scripture, race, difference, and social justice. Alisha is ordained in the Baptist tradition by Beloved Community at Emmanuel Baptist Church of Brooklyn, New York. Between writing, teaching, and traveling, Alisha is raising a beautiful 12-year-old in the New York City area.